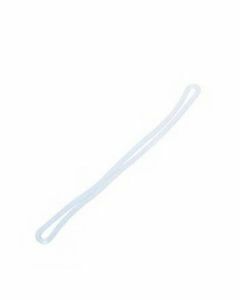 Our Clear Worm Loop measures 6 inches and is a clear plastic strap used to attach to luggage name cards. Made from a sturdy vinyl material, this 6WL durable strap also works great for badges, briefcases, backpacks, and more. 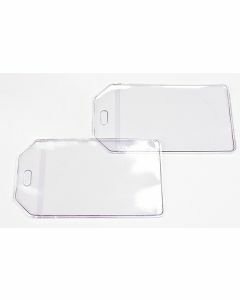 Use these loops with our Clear Vinyl Luggage Tags [LUGTAG], sold separately.